This weekend, the president signed an executive order imposing a temporary ban on citizens of Iran, Iraq, Libya, Somalia, Sudan, Syria, and Yemen from entering the United States. The executive order blocks all refugees for the next 120 days, and all citizens of the aforementioned countries for the next 90. 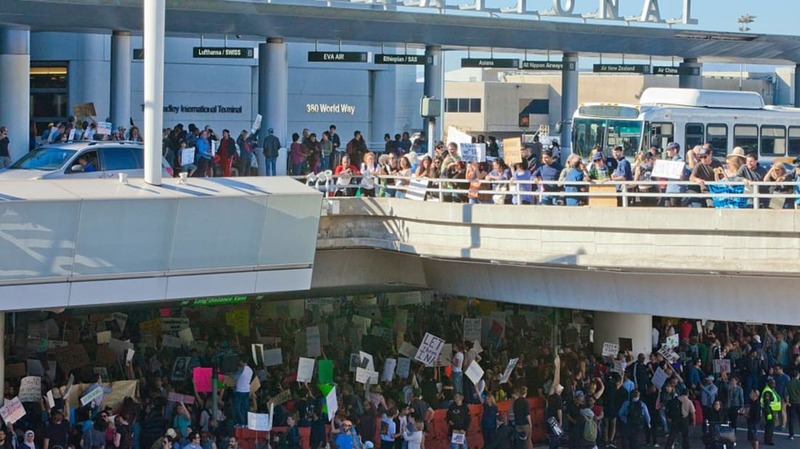 The implementation of the order left scores of refugees and travelers with valid visas stranded in U.S. airports and detained by agents of U.S. Customs and Border Protection. There was also a great deal of confusion around the fate of green card holders—women and men who live, work, and pay taxes in the United States—who can be drafted into the U.S. military in a time of war, though they aren’t yet full citizens. Many foreign-born and first-generation immigrants from countries now temporarily banned from entering the United States have had an undeniable impact on science, culture, and business in America. Here are a few of them, and what they achieved. Before taking a partnership at a private equity firm, Hamid Akhavan was CEO of Unify (formerly Siemens Enterprise Communications); CEO of T-Mobile International; COO of Deutsche Telekom; and even worked at NASA Jet Propulsion Laboratory as a telemetry engineer. He’s a graduate of Caltech and MIT. He was born in Tehran, Iran. The Apple co-founder’s story has already passed into American legend. The garage. The business acumen. The obsession with design and detail. Steve Wozniak pioneered the first mass-market personal computer, but Steve Jobs delivered it to the world, and in doing so revolutionized the American personal computer industry. Jobs and Apple are responsible, directly and indirectly, for hundreds of billions of dollars in wealth for the United States and the spawning of countless other industries and enterprises. Jobs is a first generation American: His biological father, Abdul Fattah Jandali, was a Syrian immigrant who met Jobs’s biological mother,Joanne Carol Schieble, in Wisconsin while studying Economics and Political Science. Schieble's Catholic father wouldn't allow her to marry Jandali, a Muslim, and the baby was given up for adoption to Paul and Clara Jobs. Spacecraft don’t magically appear on Mars. It takes teams of hardworking engineers with the audacity to think they can gently land things on tiny dots in the sky, and the brains to actually make it happen. One of those engineers is Bobak Ferdowsi, who spent nine years on the Mars Science Laboratory mission, and who, during the notorious seven minutes of terror (in which the lander needs to decelerate enough to hit the ground safely), was Flight Director for crews and landing operations. Ferdowsi worked also as a science planner for the Cassini–Huygens mission to the Saturn system. The Curiosity team at NASA would have been left one member short, however, had Ferdowsi’s father not immigrated to the United States from Iran. Harry Abdul was born in Aleppo, Syria—the same Aleppo that has recently received international coverage. He immigrated to Brazil and then to the United States, where he met his wife who gave birth to a daughter, who they named Paula. You’ve probably heard of her: She was a cheerleader for the Lakers, a music sensation in the '80s with six chart-toppers, and a Grammy and Emmy winner. She would later be a judge on American Idol for eight years. Without her hit songs and choreography (for both herself and stars like Janet Jackson), the music video as we know it would not exist. Harvard Medical School graduate and MacArthur Fellow Nawal M. Nour was born in Sudan, and had she not been allowed to immigrate to the United States, we would have been left without one of the world’s foremost experts in treating women subject to genital mutilation/cutting. As the founder of of the African Women’s Health Center—the only center of its kind that focuses on both physical and emotional needs of women who have undergone FGC—she fights against the practice throughout Africa.